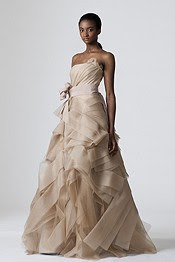 If I was going to get married again...which I'm not...I would wear one of these fabulous Vera Wang dresses in a New York minute. I really like the wild, unstructured ruffles of the first dress. Normally, I'm not big on ruffles...they're just a little too girly for me. But I love this dress! 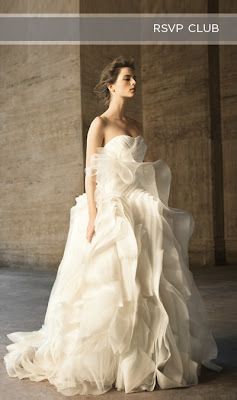 And I'm crazy about the white dress with the black sash. It's reminiscent of the dress that Audrey Hepburn wore to Larrabee's party in Sabrina. 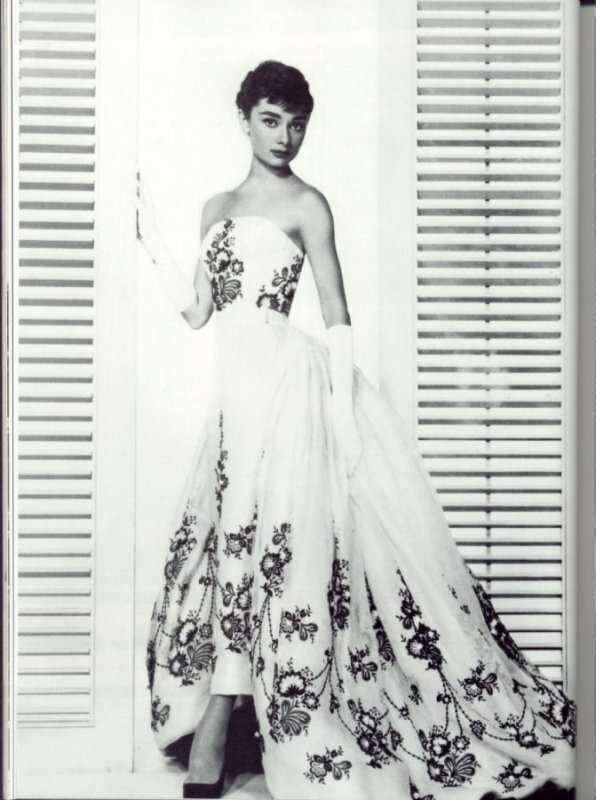 Audrey always looked like a princess!